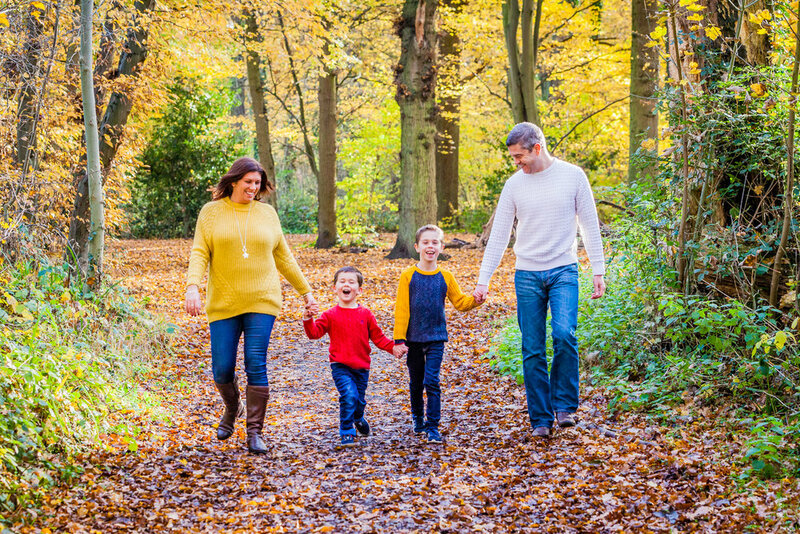 Don your cosiest jumper, slide on your muddy wellies and enjoy an autumnal welly walk whilst getting some fun-filled family photographs. These shoots provide the perfect chance to capture your family in a relaxed and vibrant setting with minimal posing and maximum enjoyment. Families of all sizes and ages are welcome - why not invite grandparents and bring along the dog too? The more the merrier as far as I’m concerned! Upon booking you will receive my concise guide to making the most of your family photo shoot - including tips on what to wear and what essential items to bring along with you - so that you feel fully prepared to have some wonderful photographs of your loved ones taken. If there is the odd light drizzle on the day, I’ll bring along some umbrellas and we can still get some cracking shots. If the entire shoot has to be cancelled due to poor weather, we will reschedule and you will receive a £100 voucher towards a full family shoot next year! Want to secure your shoot? Cool! Simply complete the form below and I will be in touch. Thank you for your interest in the welly walks! I will be in touch soon - get your wellies at the ready! *additional products available to purchase following the shoot .